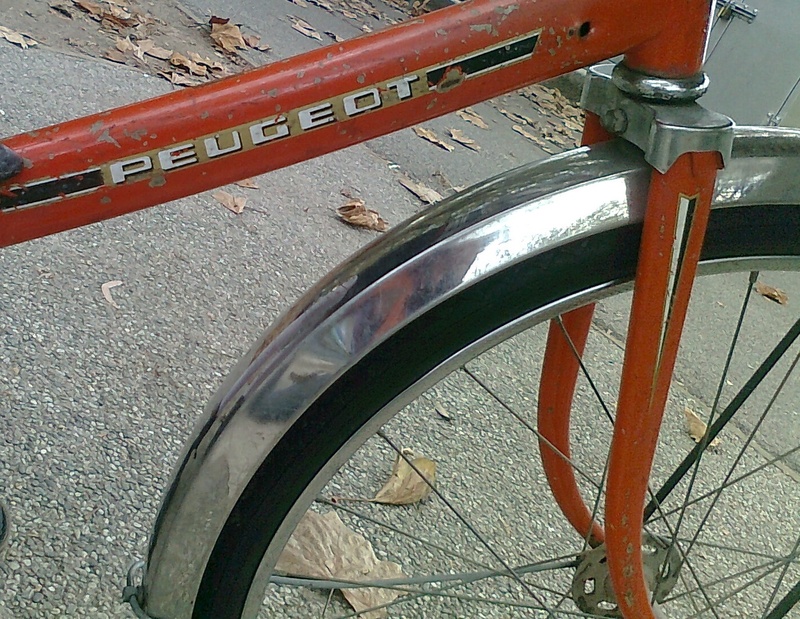 Speaking of bikes that are neither restored nor trashed, this is Katie’s Peugeot. 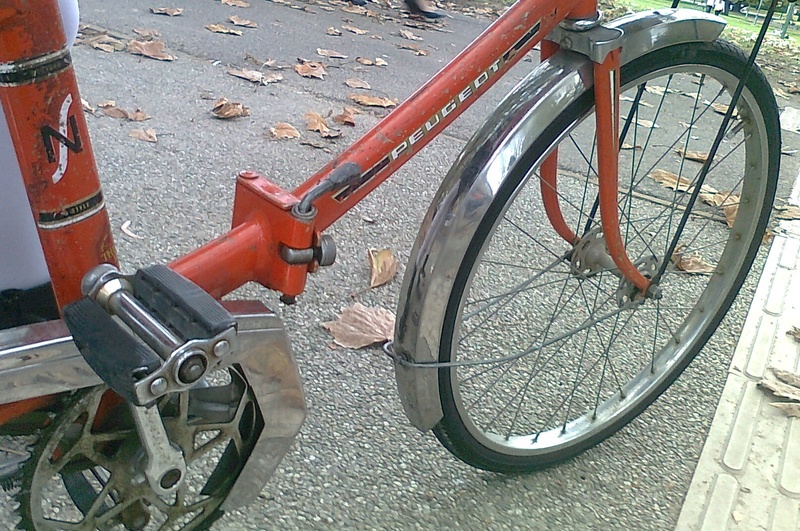 It was once her mother’s and it’s her first bike. 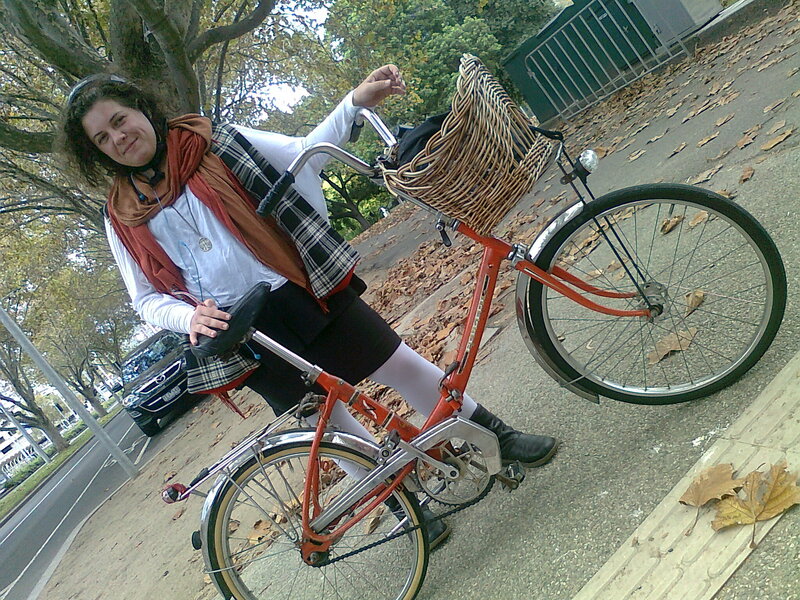 I chased Katie down on St Kilda Road in a shameless fit of orange Peugeot lust. You can see from the top photo that I was a bit excited (but I’ve decided this accidental shot is a bit arty – I like it.) I gave Katie my card, she gave me hers. Turns out she’s a lighting designer (here’s her web site) and we were heading to the same show at the Malthouse. Synchronicity!